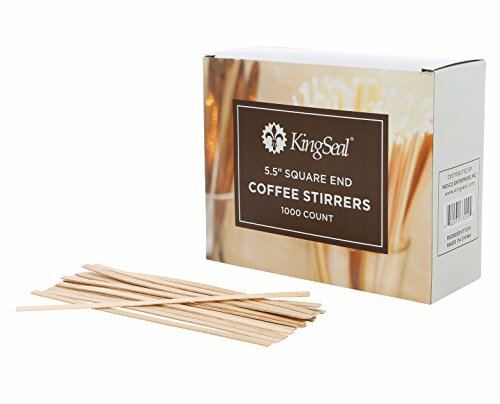 Wood Coffee Stirrers, Square End, 5.5". Each case consists of 10 packs of 1000 each (10,000pcs total). Please see our other listings for slightly thicker and rounded end versions in 5.5" and 7.5" (similar to Starbucks or other coffeehouses), or bamboo versions in 7" and 5.5". If you have any questions about this product by KingSeal, contact us by completing and submitting the form below. If you are looking for a specif part number, please include it with your message.